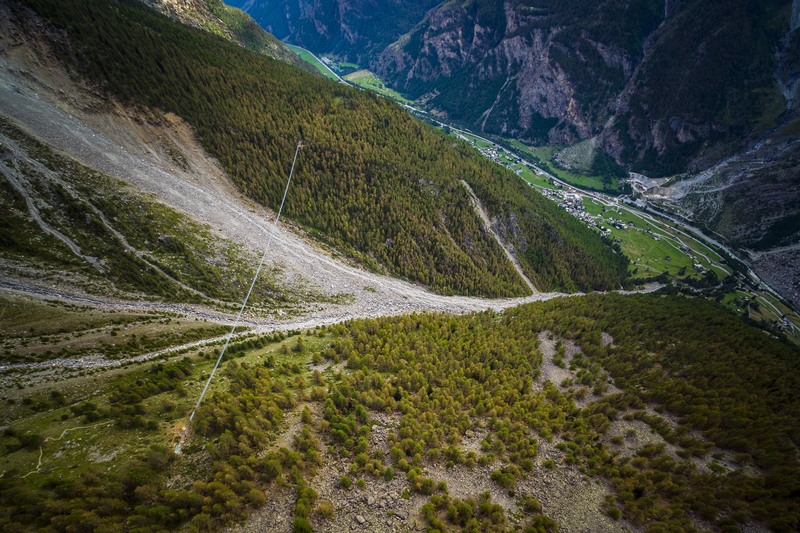 The world’s first peak-to-peak suspension bridge opened in 2014 in Switzerland at the Glacier3000 ski area. 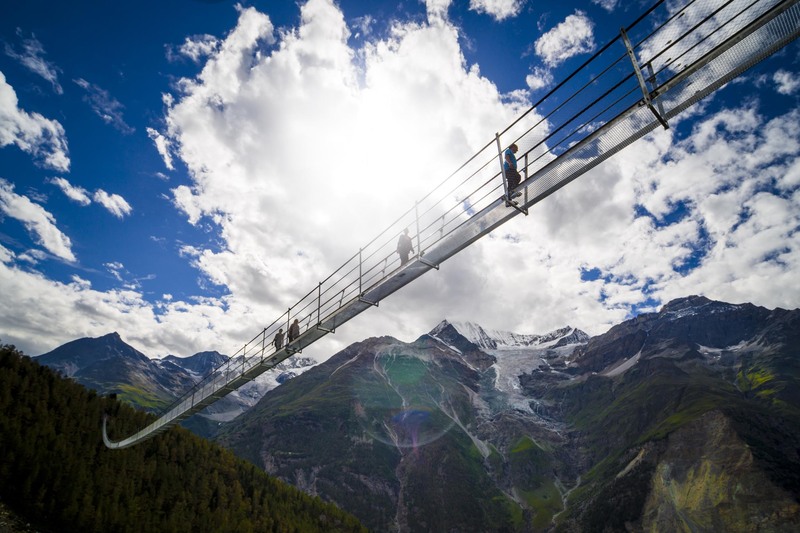 The 107m long bridge, known as “Peak Walk by Tissot”, has been more than matched by a new suspension bridge in nearby Valais. The 31km long Europaweg, a hiking trail between Zermatt and Grächen, lies along a route prone to rockfalls. A bridge was built along a section of the route in 2010, crossing the Dorfbach river, but was swept away in a rock avalanche two months later. The determined Swiss went about building a replacement, high enough to avoid the fate of its predecessor. The resulting Charles Kuonen Hängebrücke, or Europe Bridge, opened on 29th July 2017, and is 494 metres long, making it the longest pedestrian suspension bridge in the world. At its highest it is 84 metres above the valley. The bridge has around 8 tons of cable, and employs a system that prevents it from swinging. It is named after the principal sponsor behinds its construction and is located just east of Randa at map co-ordinates 46° 6′ 6.5″, 7° 48′ 4.7″. To walk the Europaweg usually takes two days, with an overnight stop in the Europahütte. It is rated T3, i.e. a challenging hike that requires good footwear, orientation skills and some basic Alpine experience (the rating associated with the most difficult hikes is T6). However it is possible to visit the bridge without taking the entire hike by taking the train to Randa – 2 stations from Zermatt – and hiking up from there. It is a steep 650m ascent, and takes around 2 hours each way.